One mandate of PCSSD is to implement safety standards for SCUBA diving in the country. To enact this, the commission is continuously updating its knowledge through research, and consultation with experts. However, as much as the commission aims for zero case of dive accidents, it is a reality that it can still happen despite proper training and caution. This is why the existence of Hyperbaric Chamber is very important. We have to ensure that all SCUBA divers will have access to affordable treatment for decompression sickness as this can be fatal when not treated right away. It is no doubt that we have very rich marine resources worth seeing but to effectively promote SCUBA diving in the country, especially to entice both locals and foreigners to try or continue patronizing the sport, it is essential that we not only assure their safety but also have the means to treat them in case of dive accidents. 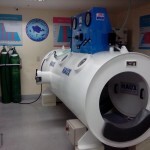 The Lung Center Recompression Chamber has been operating for almost 15 years now and has treated successfully diving accidents. 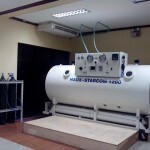 The Cebu Recompression Chamber was acquired in 1988 and has successfully treated diving emergencies for almost 23 years. 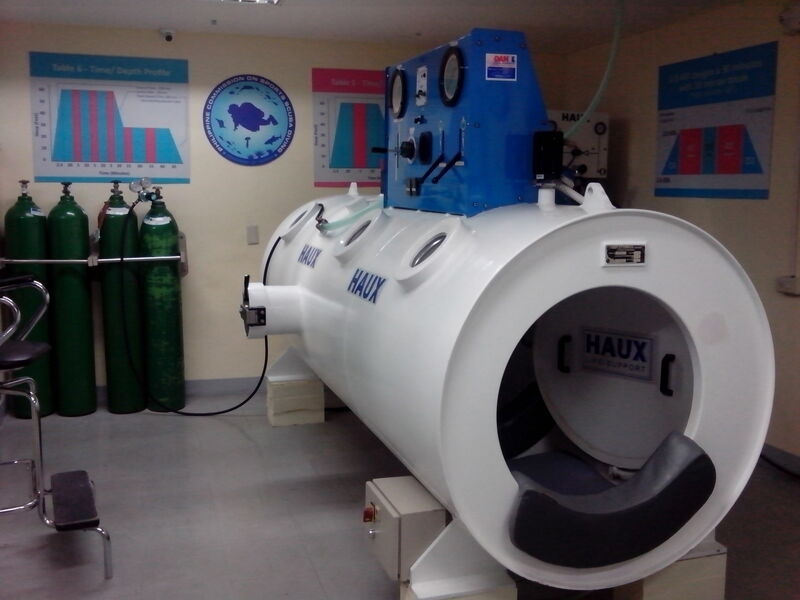 The chamber has also helped non-divers, through the hyperbaric oxygen therapy (HBOT) for healing wounds, osteomyelitis and other medical conditions. Both chambers are multi-placed, twin-locked chambers which can accommodate two (2 to 3) persons.